Through integrated AI and voice assistants, almost everything in your 2019 smart home could be controlled by your fingertips or even your voice. With 2018 tech being left in the dust with the introduction of hundreds of new concepts and systems at CES 2019, we've been given a taste of how connected homes will be enhanced in 2019. 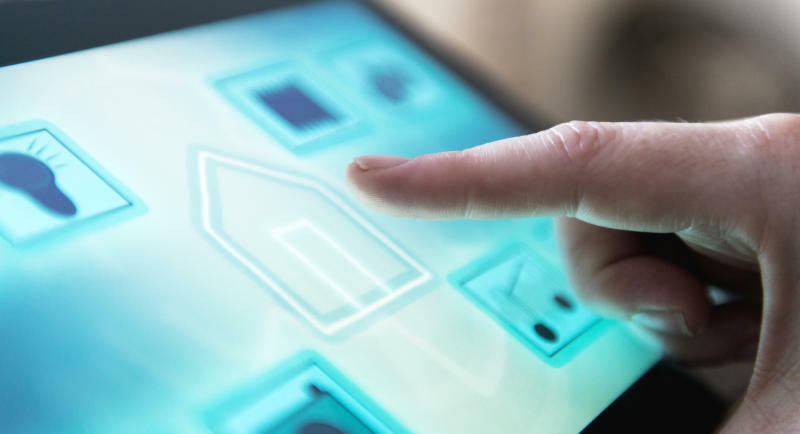 Smart homes are changing; they're becoming more intelligent, more connected, and more personalized thanks to AI and voice control being integrated in the kitchen, bathroom, and everywhere in between. But what exactly can we expect of upcoming 2019 home tech? CES 2019 gave us some clues. CES 2019 demonstrated that everything that's not already connected or powered by AI will be. Amazon's Alexa, Apple's Siri, and perhaps most significantly at this year's event, Google's Google Assistant have announced their goals to be nearly everywhere you turn over the upcoming year. In fact, Google announced Google Assistant Connect at the trade show; the platform will allow device manufacturers to integrate the voice assistant into pretty much any device they wish, and CES proved that companies are getting creative with their ideas. Meanwhile Kohler demonstrated the future of smart bathrooms with the unveiling of its PureWarmth Heated Toilet Seat which is controlled by an app on your smartphone. Likewise, your workouts of 2019 will be taken to an entirely new level with intelligent equipment like the Blowflex Intelligent Max elliptical and SportsArt Verde treadmill; both can help you thoroughly understand your performance and provide you with entertainment on an AI-powered tablet. In the kitchen, KitchenAid introduced the KitchenAid Cook Processor Connect which combines almost all your countertop appliances -- mixers, blenders, steamers, you name it -- into one smart device that you can walk away from while it works. And in addition to an array of smart appliances, LG used its smart tech to create an at-home beer brewer called LG HomeBrew. Even your pillow is going to get smarter this year; Moona introduced a device that tracks your sleeping patterns and regulates the temperature of your pillow. Kohler also ensured that voice-controlled technology does not neglect the bathroom this year with the announcement of and entire collection of Alexa-enabled products for the washroom: the Verdera Voice Lighted Mirror, Numi 2.0 Intelligent Toilet, Sensate Touchless Kitchen Faucet; basically, you won't have to lift a single finger for the entirety of your bathroom trip. Nearly every TV and soundbar that debuted at CES had one form or another of voice control. Whether you welcome the change or not, you will probably be controlling the volume of your next television with your voice. Airia unveiled their voice-powered fragrance dispenser, so instead of walking through your home with a pressurized can of air freshener, you'll only have to ask the device to freshen up your home. U by Moen further supported Kohler's push to make the bathroom as smart as the rest of your home with the reveal of their smart shower system. By speaking to Alexa or using the touchscreen panel, you'll be able to start running water and warm up your shower before you enter. Even Samsung's Bixby is getting in on the smart kitchen action with its new Family Hub smart refrigerator complete with a touchscreen. As you put away your groceries, the fridge can ID your items and track their expiration dates so when it's time to clean out the old food, all you have to ask is, "what's expiring soon?" CES demonstrated the smart home security systems that will rule in 2019. Arlo, Comcast, Elecpro, First Alert, and a dozen more companies debuted their intelligent locks, doorbells, and complete security systems for both traditional homes and apartments. However, because technology will be integrated into every facet of our lives, privacy scares are imminent. As smart technology evolves over the upcoming year, so will the type of products its integrated into; so, the next time you go to use the washroom, don't be surprised if the throne speaks back.